Alex Pino at Revolution Farm grows mixed greens, garlic, Japanese Heirloom Red Kuri squash, and more. Alex Pino at Revolution Farm grows a fresh lettuce mix; cauliflower and radishes; greens like kale and chard; and winter squashes, including butternut, Delicata, and Japanese heirloom Red Kuri. He also specializes in heirloom garlic, which he turns into high quality garlic powder. 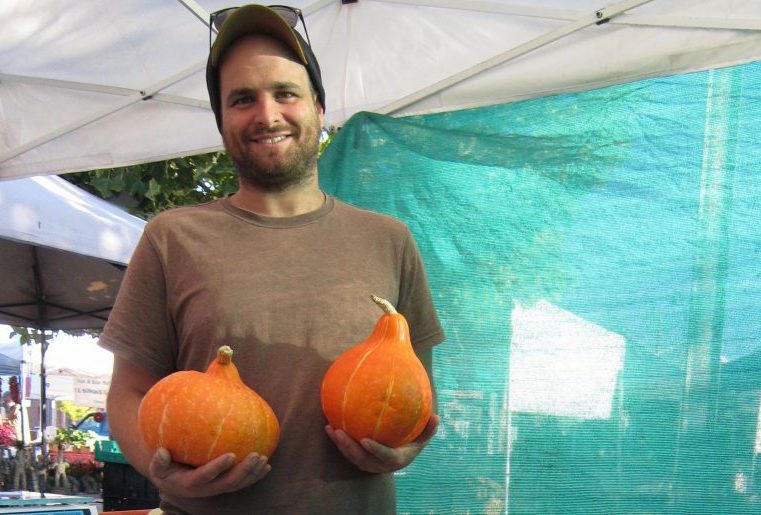 Alex uses organic principles, minimal input, and biointensive permaculture to grow his crops. 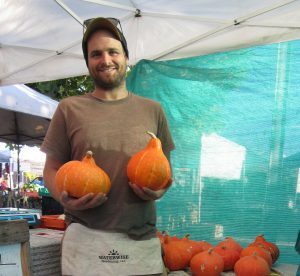 Alex founded Revolution Farm in 2008 with a desire to be his own boss, work for a more just food system, and increase food access. 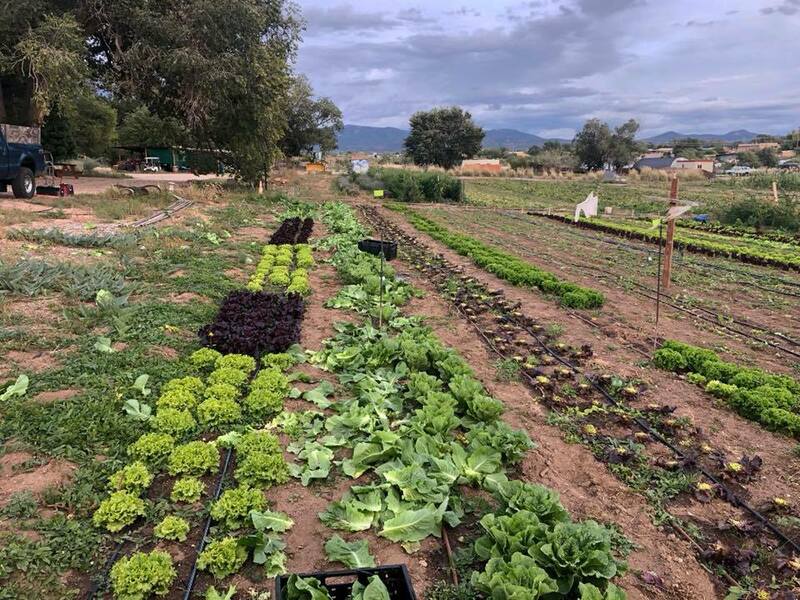 He has expanded his farm to include half a dozen leased fields around Santa Fe with four hoop houses as season extenders, and he is almost done constructing a cooler to store freshly harvested lettuce mixes, greens, and other crops. Much of his farm’s infrastructure has been constructed using reclaimed and repurposed materials. Because Revolution Farm’s fields are leased and not owned, it is difficult for Alex to get organic certification. Instead, he follows “morganic agriculture,” which includes a focus on soil health, biointensive permaculture, organic principles, and the maximization of irrigation with an eye towards water conservation. In addition to growing food, Alex is committed to food policy work that forwards the power and impact of small, independent farmers. His farming philosophy is focused on a faith in human resilience and ingenuity to ensure a robust food system well into the future. Alex Pino at Revolution Farm has half a dozen plots where he follows organic principles to grow his crops.